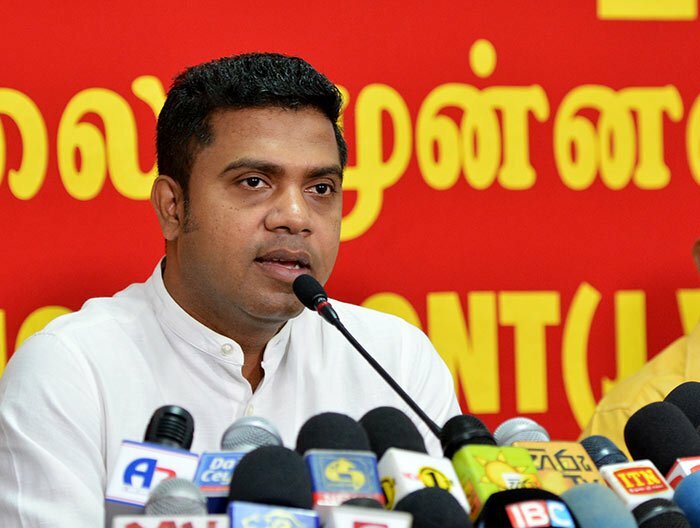 The JVP yesterday reiterated that it would never help the UNP form a government even if the ‘purported UPFA government’ was dislodged through parliamentary means. JVP MP Dr Nalinda Jayatissa, who is also a member of the party’s Central Committee said, in a brief interview with The Island, that there was no change in the party’s position that it would not side with either Mahinda Rajapaksa or any one from the UNP. Speaker Karu Jayasuriya has said that those who are opposed to the incumbent UPFA government number 122, including the JVP’s six MPs. Dr. Jayatissa said the only way out was to appoint a caretaker government and hold a free and fair election so that people could elect a party of their choice to govern the country. government’ did not have the required numbers in the House. Speaker Jayasuriya said that two no-confidence motions had been passed in Parliament during the last week’s sittings and the two motions had been signed by 122 MPs each. The Supreme Court decision on 07 Dec 2018 is not about the existence of the illegal Government. The Supreme Court decision on 07 Dec 2018 is about is about the illegal Gazette issued by the President, proroguing Parliament and dissolving Parliament. Even if the SC decides that the Gazette proroguing Parliament and dissolving Parliament is not constitutional, the fake Government will continue as its existence is not the subject of an SC ruling. SL’s democratic systems have collapsed as a result of the President’s action in creating an unconstitutional and fake Government. We are under a Dictatorship where some person occupying the Head of State’s chair is ruling the country according to his whims and fancies and not according to the Constitution. More shocking is the hunt by the fake Government for crossovers from the ‘Opposition’ offering millions of USD.